Milledgeville appears ready to add "cycling" to the list of "C"s in its motto. The city's efforts to boost cycling has been assisted by the 7,000-student Georgia College and State University, which in 2015 was named Georgia's 4th Bicycle Friendly University. Bicycle Friendly Community: Since 2014, Bronze Level. Georgia Bike Law attorneys Ken Rosskopf and Bruce Hagen are avid bicyclists and experienced attorneys. We have earned the recommendation of Georgia Bikes!, a statewide advocacy group. If you need help with a Milledgeveille bike accident case or have questions about Georgia's bike laws, please contact Ken and Bruce. Simply fill out our Bicycle Accident Report Form or contact us through our email addresses on this page. Milledgeville bicycling club: The Bicycling Club of Milledgeville has a clear mission: to make “Milledgeville, Georgia and Baldwin County a better and safer place for more people to ride bicycles more often.” The club has a Facebook Group and hosts an annual April Fools Charity Ride and the Red Clay Ramble Gravel Grinder. The group's website contains weekly ride information as well as posts about seasonal events, news, and advocacy of cycling in the area. Bike shops we’ve visited: Oconee Outfitters is a great shop with lots of bikes and accessories. Milledgeville greenways: The Oconee River Greenway is a paved multi-use path that is used for cycling along the Oconee River Greenway Park and Riverwalk. "The city achieved bronze level status from the League of American Bicyclists after local bikers advocated for it and Georgia College committed to making it happen. There are lots of good riding opportunities. The city has a solid community of outside enthusiasts, whether it’s mountain biking, road riding or trail biking. They have Lake Sinclair for water-based activities, and there’s a cool downtown. 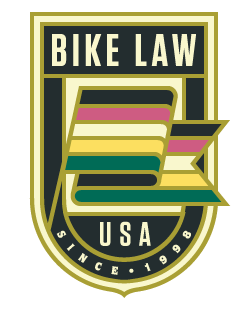 The city hosted the recent Bike Summit in November 2015, which was sponsored by Bike Law."